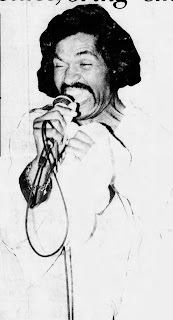 Rhythm and blues artist Bobby Rush headlined--what Jimmy "Duck" Holmes dubbed as--the 3rd annual Bentonia Summer Festival on Saturday, July 3, 1982. Holmes, who runs the Blue Front Cafe in Bentonia, has been a long-time supporter of traditional blues music. "My sole purpose for the festival is to honor the pioneers of blues music," Holmes said Monday. "I'm not doing it to make any money." 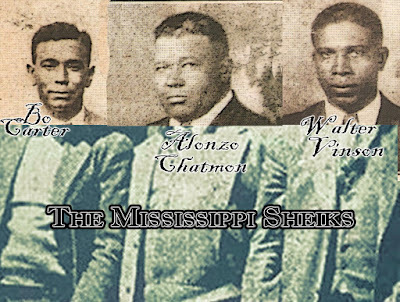 Along with Rush, the festival had other well-known names in the fields of rhythm and blues and "down-home blues," Holmes declared, such as Jack Owens and Bud Spires of Bentonia; James "Son" Thomas, Joe Cooper, and Eddie Cusic, all of Leland; Boyd Rivers of Pickens; Sam Myers of Jackson; Tommy West of Flora; Jacob Stuckey of Bentonia; the Jesse Robinson Rhythm & Blues Band from Jackson; and the Ezell Townsend "Love of Soul" Band, also from Jackson. Best known for hit songs "Chicken Head" and "Mary Jane." 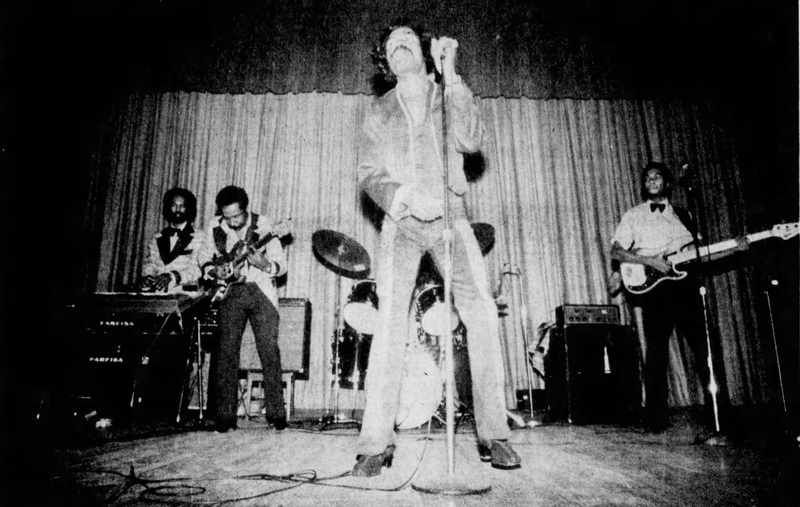 Bobby Rush came on stage around 6 p.m. The festival began at 1 p.m. and lasted until after 8 p.m. Besides musical entertainment, Holmes organized a motorcycle rodeo and softball games at nearby sites. At the motorcycle rodeo, area clubs, including the Golden Eagles Club and the Interstate Riders Club of Yazoo City, participated in races and stunt riding. Admission to the festival was $4, with advance tickets available at the Blue Front Cafe for $2. The festival, as in years past, was held just north of Bentonia on the Holmes farm. The festival site is just north of Bentonia. It can be reached by going east on the gravel road which runs alongside the Richardson Brothers Green Light Auto Pieta building on Highway 49. The festival is one-quarter mile from the Highway 49 turnoff.